Tandem linguistique : échange de langues étrangères en France. It's an easy and friendly way to learn a foreign language. This site will enable you to find, in your town, someone who wishes to learn your language and that speaks the language you want to learn. John speaks Greek and wants to learn Chinese. Germaine speaks Chinese and wants to learn Greek. John makes an offer on the linguistic tandem site. Germaine finds John’s offer and sends him a message. Then, John calls Germaine to make an appointment. 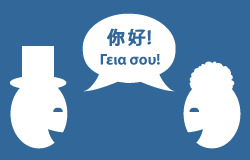 Finally, John and Germaine meet up to talk, sometimes in Greek, sometimes in Chinese. 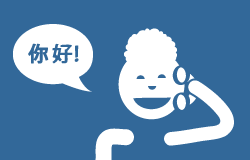 You too, wish to learn a foreign language in a friendly way? You can here submit a tandem or look for a partner. The way your tandem will take course depends on what you will decide with your partner. You can meet up in a cafe, in a park, in your house or with skype. You can arrange to meet up every week or every year, you decide!